Breakstone, White & Gluck and our Project KidSafe campaign donated new bicycle helmets to students participating in Bikes Not Bombs’ Earn-a-Bike class. This is the sixth year we have made this donation and these riders certainly deserve them. Through the class, the students learned how to fix up these used bikes and are now riding them. Photo credit: Bikes Not Bombs on Instagram. For the past six years, Breakstone, White & Gluck has donated bicycle helmets to the Earn-a-Bike program at Bikes Not Bombs in Jamaica Plain. And the teens who participate definitely “earn” their helmets. During the class, each cyclist is taught how to fix up a used bike and participates in bike safety rides. Breakstone, White & Gluck donates 160 bicycle helmets each year, part of our Project KidSafe campaign, encouraging children and teens to wear helmets EVERY time they ride. But our support for Bike Not Bombs goes back many more years. Our attorneys represented a cyclist connected to Bikes Not Bombs. 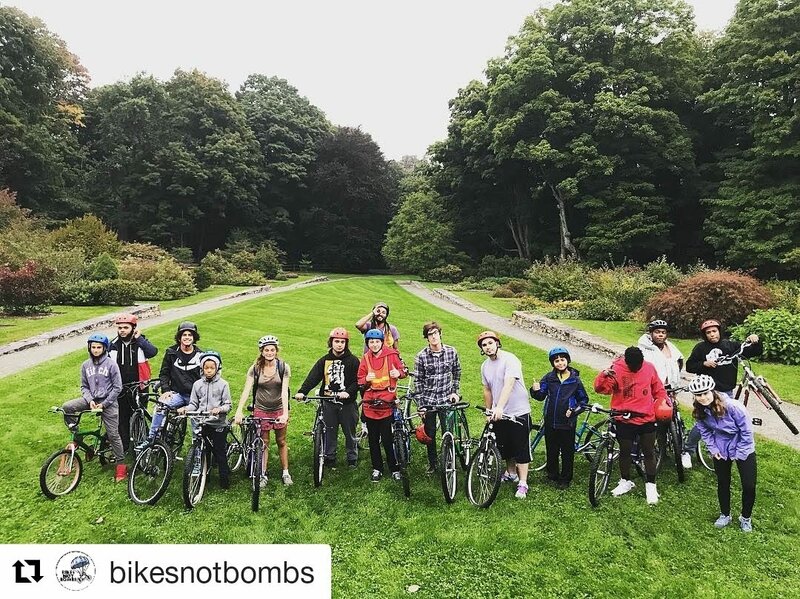 During this time, we learned that Bikes Not Bombs reclaims thousands of used bikes across New England each year, distributing them to young adults and teens – locally and around the world. The organization works to teach job skills and provide workers with a sustainable means of transportation.